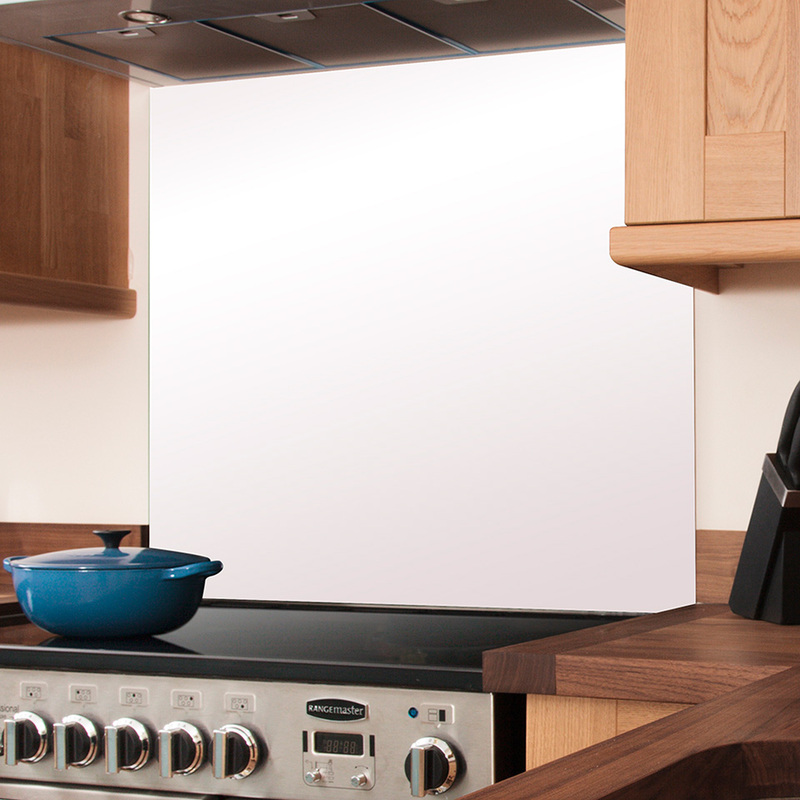 Finish your kitchen with an elegant splashback and protect your walls from splashes, spills and stains. This white glass splashback is manufactured from toughened glass to ensure durability and measures 750mm x 900mm x 6mm. Scratch and heat resistant (up to temperatures of 700°C), this splashback is tough enough to withstand even the busiest kitchen environments. Our white kitchen splashback is a low maintenance alternative to tiles — it can be cleaned easily with a soft cloth and some warm soapy water. Created using Optiwhite™ glass, which prevents the appearance of a green sheen, the colour that is achieved is of unparalleled quality. This white glass splashback can be used behind a hob, or - for a more unique look - between base and wall cupboards, creating a seamless, contemporary aesthetic. This white kitchen splashback is available and in stock to ensure swift delivery. When you know the size required, simply select below to add to your shopping cart.